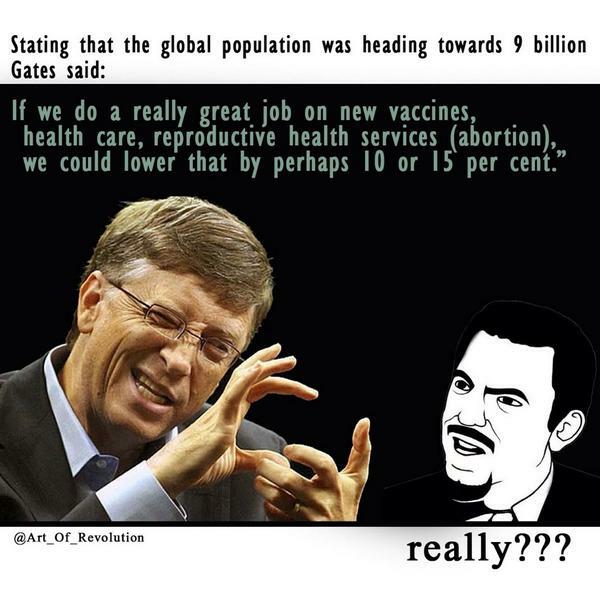 Here is a new spin on “curing cancer”, and this time it is coming from Bill Gates, an elite-swine stooge/eugenicist who is seeking to depopulate the world of folks he considers to be inferior. And so as you read this article, ask yourself this question: Why would an Agenda 21/2030 pushing eugenicist, like Bill Gates, be interested in “curing cancer”, or for that matter, any other disease that might shorten the lives of those he considers to be not fit to live? What’s extraordinary about this is how all the world’s smartest people are apparently too stupid to realize cancer has a cause. We live in a cause-effect universe, you see, and if you want to stop seeing an effect you don’t like, you need to prevent the cause. Getting back to Microsoft, because all these “smart” biologists and engineers are too ignorant to realize cancer is caused by something, they remain absurdly focused on the molecular interactions of cancer effects, hoping they can “reprogram” cells to stop being cancerous while the patient continues to smoke cigarettes, eat glyphosate weed killer, consume sodium nitrite in processed meat, eat trans fats and generally live a pro-cancer lifestyle that must cause cancer if we believe in cause and effect. Welcome to the Bill Gates Bulls**t Brigade, where cause and effect are thrown out the window and replaced with high-brow academia and very, very technical sciency-sounding bulls**t.
Because, you see, it’s just too boring and simple to tell people that vitamin D prevents almost 80% of all cancers… or that eliminating pesticides from your body by choosing organic products will vastly reduce your cancer risk.